Improved driver performance when some music player are playing on the PC. If you have agreed with Terms & Conditions, click Download button on this page. Download notification screen is shown. Click Save. Save as screen is shown to specify the destination.You can find the saved file easily when you select Desktop as destination. When “download was completed” screen is shown, click Close. Please install driver software by following methods. 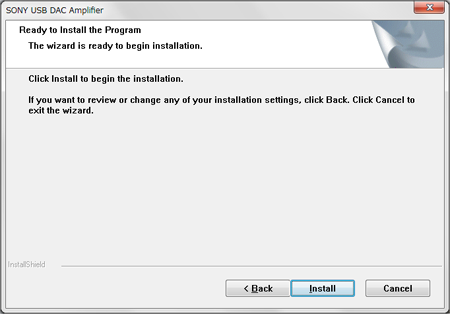 Administrator privilege is needed to complete installation. When you want to update the driver software, Please uninstall the old version driver software before installing a new driver software. Please refer touninstallation procedure of Driver software. Connect USB terminal (type B) in back panel on UDA-1 and USB terminal on PC by USB cable. 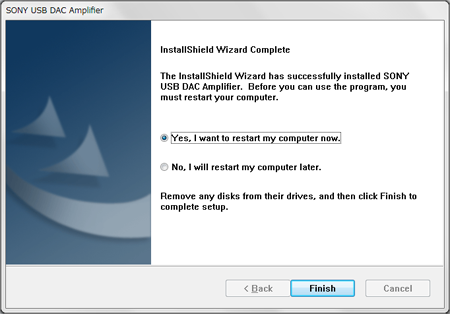 Please remain USB cable connected and power on while installation of driver. 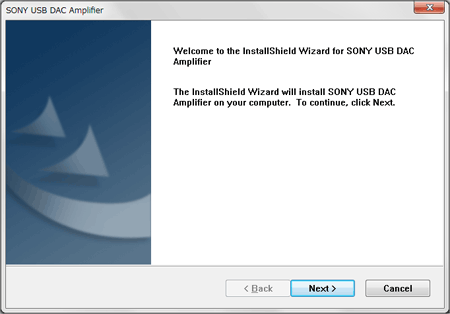 If installation completes correctly, “SONY USB DA Amplifier” is added to “Sound, Video and Gaming controller" on Device manager. Make sure the driver is installed properly. 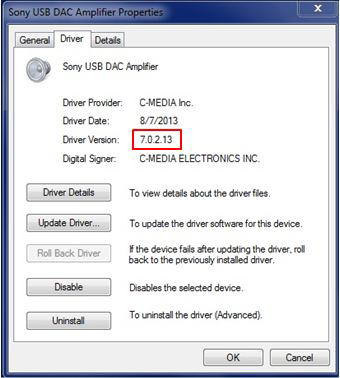 If installation of drier is correct, “SONY USB DAC Amplifier” is found in device manager, please check [!] is not displayed. By some software output device of sound can be selected. 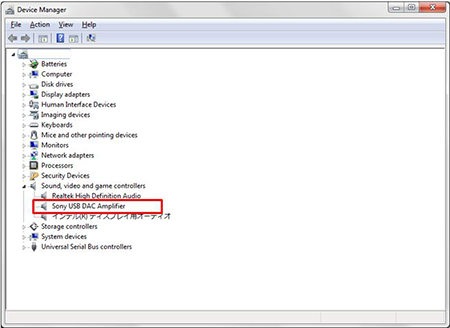 In such software, please check if “SONY USB DAC Amplifier” is selected correctly as output sound device. 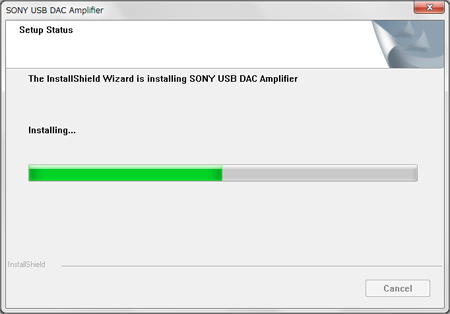 “SONY USB DAC Amplifier” is selected as Playback device, which displayed Start Setting > Control panel > Sound. 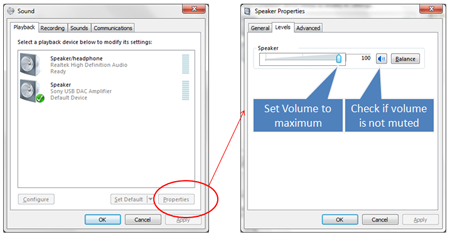 And also check Volume is set to maximum and not muted at Property of ”SONY USB DAC Amplifier”.